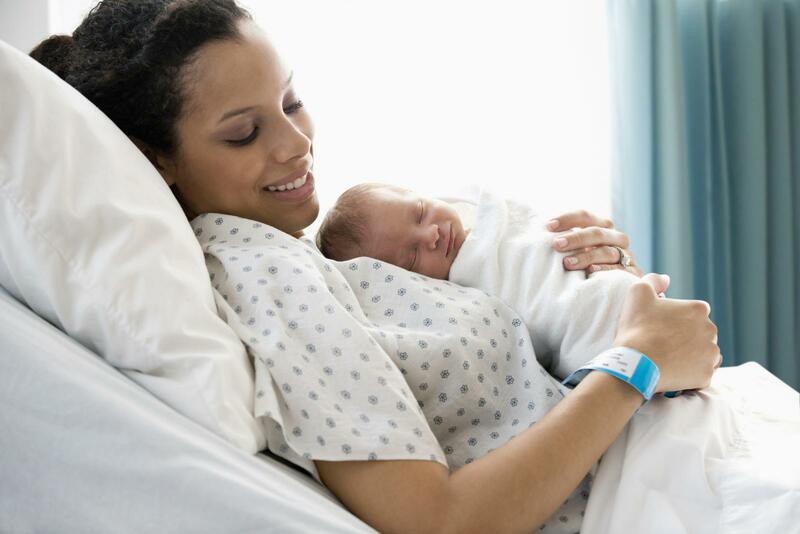 While there are a number of different types of childbirth, they all have one goal in common--deliver a healthy baby. Most women who give birth do so vaginally. Some women, because of personal preference or underlying medical issues, plan to have an unmedicated birth. Others either know from the outset that they want to be administered medications to keep them comfortable during labor and delivery or are open to using them if the pain and pressure from the contractions become too intense. In some cases, surgery is required to deliver the baby. When labor isn't progressing well or a medical issue arises threatening the mother or the baby, a Cesarean section may be performed. During the procedure, the mother may be given a general anesthetic or one that numbs her from the mid-chest down. The doctor makes an incision in the mother's abdomen and the baby is lifted out to deliver him or her. The entire major surgical procedure usually takes between 45 minutes to an hour to complete. 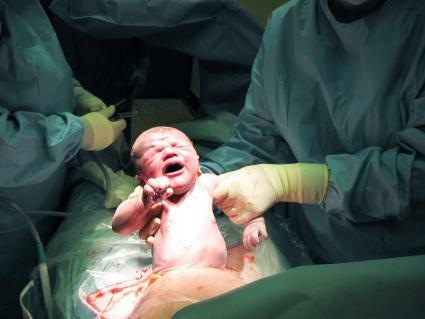 The baby is delivered during the first 15 minutes or so and the rest of the time is spent repairing the incision to the uterus and the mother's lower abdomen. Dissolving stitches are used internally and the abdominal incision is closed with surgical staples or stitches. Epidural anesthesia is a popular method of controlling pain during labor and delivery. It is a regional anesthesia that is used to block pain sensations. Before the epidural can be administered, the laboring woman is asked to lie on her side or sit up and lean forward. A local anesthetic is administered to numb the area and then a needle is inserted into the area near the patient's spinal cord. Once the needle is in place, a catheter is carefully run through it. The needle is removed, leaving the catheter in place. 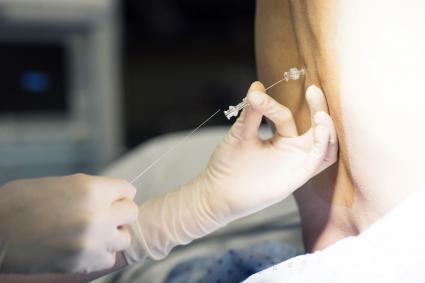 Pain-relieving medication is administered through the catheter. A pump may be used to provide a steady stream of medications or the epidural may be topped up with injections. Another one of the different types of childbirth available to women is the Lamaze method. It can be used by women who want an unmedicated birth as well as those who are planning to use medications during the process. This method was developed by Dr. Ferdinand Lamaze, a French obstetrician, in the 1950s. Women who are interested in using this technique take classes to learn how to use controlled breathing and visualization methods to manage the pain of childbirth. The classes also cover relaxation techniques and other comfort measures that may aid a woman in labor. Along with detailed information about the birth process, participants learn about anesthetics that may be used during labor and delivery so that they can make informed choices. The Bradley Method of childbirth involves the husband coaching his wife through labor and delivery. Dr. Robert A. Bradley, an American obstetrician, developed this approach in the 1940s. He believed that a drug-free birth was the best method for mothers and babies and that with proper preparation, most women could achieve this goal. Pregnant women who take childbirth preparation classes on the Bradley Method of giving birth learn about eating well during pregnancy, as well as relaxation and breathing techniques to manage their pain. This method of giving birth also advocates having the pregnant woman labor with her eyes closed, in a dark, quiet room. She should have the appearance of being asleep during the process. Dr. Bradley felt that if the woman were able to relax completely during the birthing process, she would be able to achieve the goal of a drug-free birth. There is no right or wrong method when it comes to types of childbirth. Even with the best-laid plans, unexpected events can occur during labor that may mean a Cesarean section may need to be performed or the woman may opt to use medications. In the end, you should the childbirth option that suits your needs best at the time of delivery, based on your obstetricians advice.